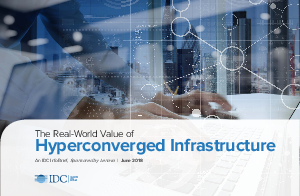 Lenovo’s VMware vSAN-based hyperconverged solution reduces TCO by 40% within the datacenter. VMware-based hyperconverged solutions from Lenovo come with a set of certified components that can be deployed to create platforms that support a broad array of workloads, performance, and budgetary requirements. With VMware vSAN pre-installed, pre-configured, and pre-tested, Lenovo’s VMware-based hyperconverged solutions help improve productivity, and cut complexity quickly and easily. VMware-based hyperconverged solutions from Lenovo represent proven solutions that are enterprise-class and are already being leveraged within mission-critical environments around the world.